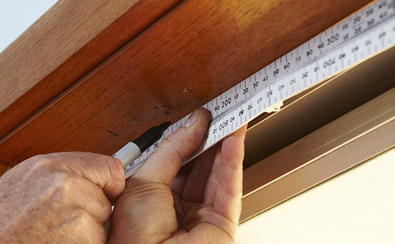 Home » Home Improvements » Window Blinds Installation-How to Measuring Accurately! The blinds can be installed inside or outside the window recess. Before you start making a blinds, order buy-finished blinds, or cut the blinds so that the size is appropriate, the first thing you should do is take measurements accurately. With the use of a metal measuring tape, measure the width of the top and bottom of the window, use the smaller size. 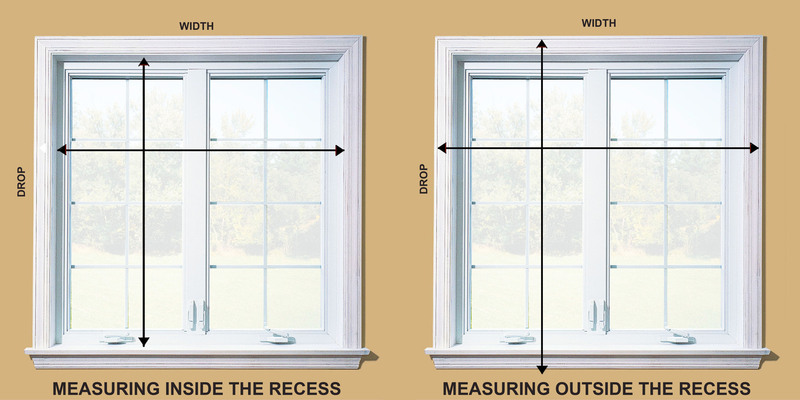 The measurement result is a recess size of the window (the width is usually determined before the height). Subtract 1 cm from the measurement results so that no vacant space between the blind and the window recess. Blind will only look good if the recess window is straight and balanced, then check by measuring the diagonals recess window. If the difference between the two diagonal more than 1 cm, then the recess may be slanted and you’re forced to install blinds on the outside. If the blinds are hunged in the outside of recess window, add 5-10 cm in the width of the window on each side and on the top. The bottom end should not touch the window frame. If the frames are not flat, add the length of blinds 5-10 cm. For the blind rolls, the fabric materials are always more narrow than the overall width (pin width) at the top, because you need a space for the elbows and roll mechanism. 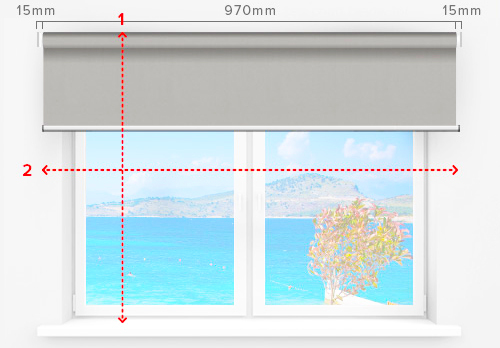 Therefore, when you buy roller blind, find out the size you need whether material width or pin width. Also decide whether you want a spring-pull mechanism, which has a classic puller rope in the middle of a stretched, or do you want a sidewinder mechanism. Sidewinder moving the blinds with a chain or rope contiguous on one side, and tend to be more durable. 1. For the blinds installation on the inside recess window, measure the width and length of the recess windows at once, carefully and accurately using a metal measuring tape, in two different places. You will know that the measurement is different, even in modern buildings. Then use the results of width measurements and the smallest length. 2. For the blinds installation on the outside of the recessed window, you can specify the size of the parts that overlapping, whether larger or smaller, according to your wishes. If you want the fabric blinds are still visible without blocking too much light, install just above the window and let dangle down partially. Other Collections of Window Blinds Installation-How to Measuring Accurately!